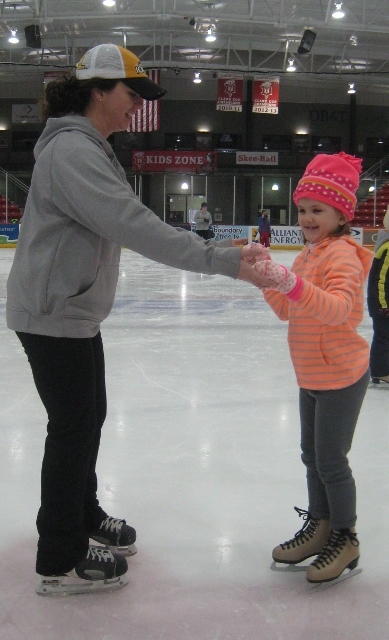 Before registering for Theisen's Learn to Skate, you must register with Learn to Skate USA. Dubuque Figure Skating and Theisen's Learn to Skate are affiliated with Learn to Skate USA. All participants in Dubuque Figure Skating and Theisen's Learn to Skate must be members of Learn to Skate USA. To register with Learn to Skate USA, please visit www.learntoskateusa.com. This registration is a yearly registration and is effective July 1st to June 30th of each year. Once a skater is registered with Learn to Skate USA, the skater will receive a membership number which is needed to complete the registration process for Theisen's Learn to Skate. 4) Enjoy the fun of skating!